A product to complement the range of MDI anaesthetic machines. These vaporisers provide reliable and accurate service and are easy to use and maintain. 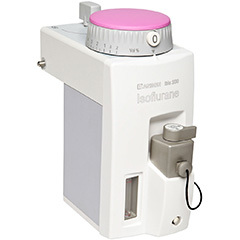 It has a state of the art delivery system with automatic temperature compensation that gives a constant delivery of Isoflurane or Sevoflurane, ensuring safety for the patient and your peace of mind.